Jobs in aviation, caregiving, and tourism sector in Singapore is opening its doors to Filipino professionals this year. According to the Philippine ambassador to Singapore Antonio Morales, in aviation industries, they are looking for aircraft mechanics and automotive where there are about 6,000 vacancies; due to an aging population, Singapore needs caregivers too. The tourism industry is also looking for Filipino workers. Household domestic workers are still in need in Singapore. On the other hand, labor demand in engineering and in the oil and gas sector such as pipe fitters and welders has reduced due to the oil crisis. Singapore is now 'home' to around 180,000 OFWs. Around 60 percent of this work in different professionals jobs while 40% are domestic workers. 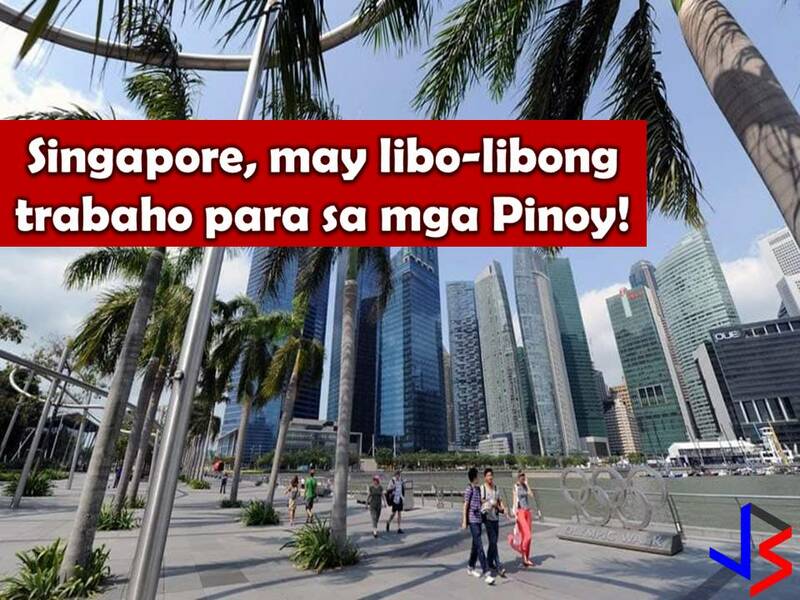 Working in Singapore is a good opportunity for Filipinos who want to work abroad since the city-state is considered to be Philippine's neighbor. It means when an OFW is feeling homesick, flying to the Philippines for a short visit is easy because it takes only around three-hours flight. The following are job orders from the website of Philippine Overseas Employment Administration (POEA) for Singapore this September 2017. Recruitment agencies information may change without prior notice. We are not affiliated with these agencies and all contract you entered into is at your own risk and account. Interested applicant may desire job position in the list to view the information of recruitment agencies where the application can be made.